BBM's first set labeled as a 2018 set was actually released in late December of 2017. The set is entitled "Time Travel 1989" and is the second retro set BBM has issued highlighting a past season - the first was last year's "Time Travel 1975" set. The underlying idea of the set is to look like a set actually issued in 1989 - the stats on the back of the player cards only include 1989 and previous seasons. The photos on the cards all could have been taken that year as well. The cards have a matte finish rather than BBM's standard glossy finish and the backs are monochrome rather than full color. 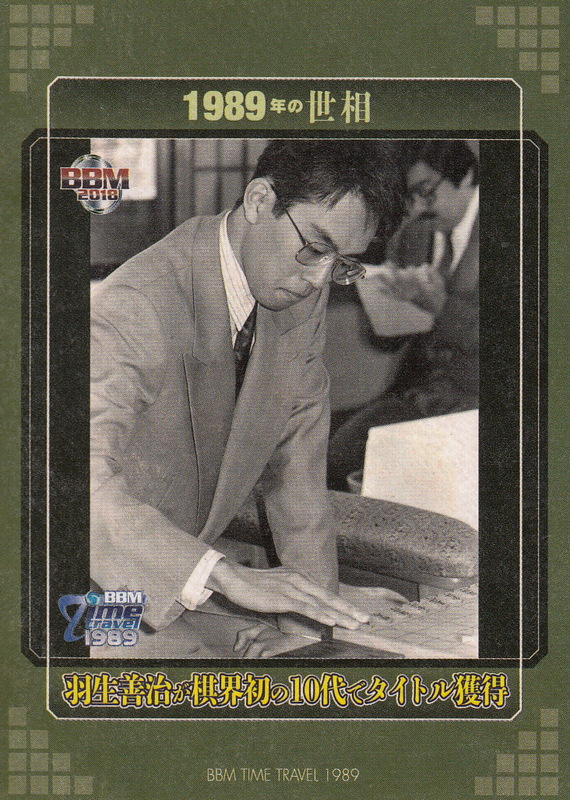 There are 99 cards in the set. 78 of these are the "regular" cards of players (but no managers) who were active in 1989. This breaks down to six cards per team except for the two pennant winners - Kintetsu and Yomiuri - who have nine cards each. There are some big names in the set - Koji Akiyama, Norihiro Komada, Hiromitsu Kadota, Masahiro Yamamoto, Takehiro Ikeyama, Tatsunori Hara, Hiromi Makihara and Masaki Saitoh - and a handful of gaijin - Boomer Wells, Larry Parrish and Ralph Bryant. There are also "Rookie" cards of several players who's rookie season was 1989 - Kenjiro Nomura, Yasuaki Taihoh, Yukinaga Maeda, Terushi Nakajima, Tsutomu Sakai, Tomio Watanabe, Kenji Tomashino and Motonobu Tanishige. Each of their cards has a "Rookie" icon on it. 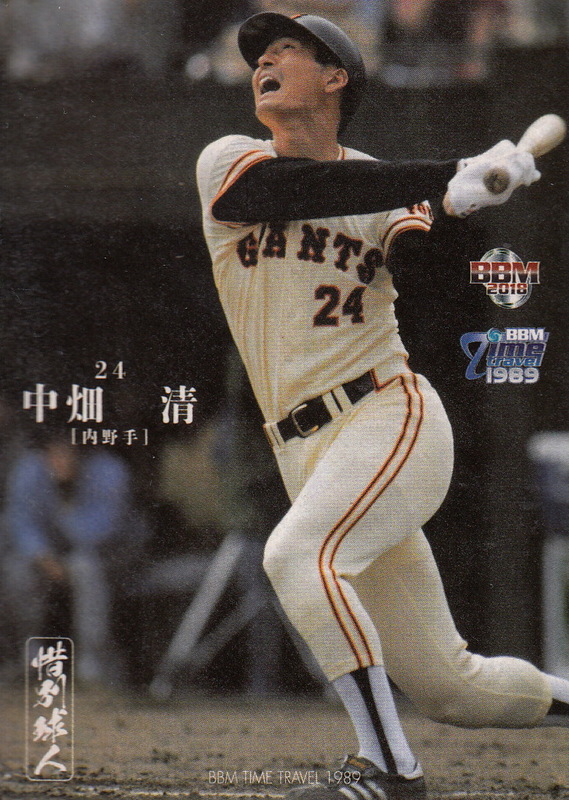 There's also a couple cards of players who played in MLB later in their career - Masato Yoshii and Masumi Kuwata. I felt like last year's set did a pretty good job representing 1975 with only a handful of "important" players left out. Not so this year. 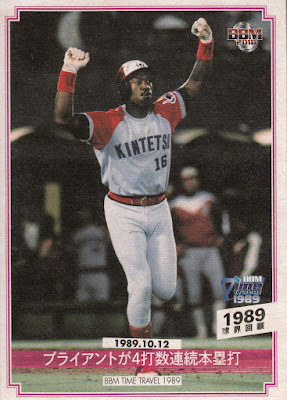 Central League MVP Warren Cromartie (who also lead the league in batting and made the Best 9 team) isn't in the set. 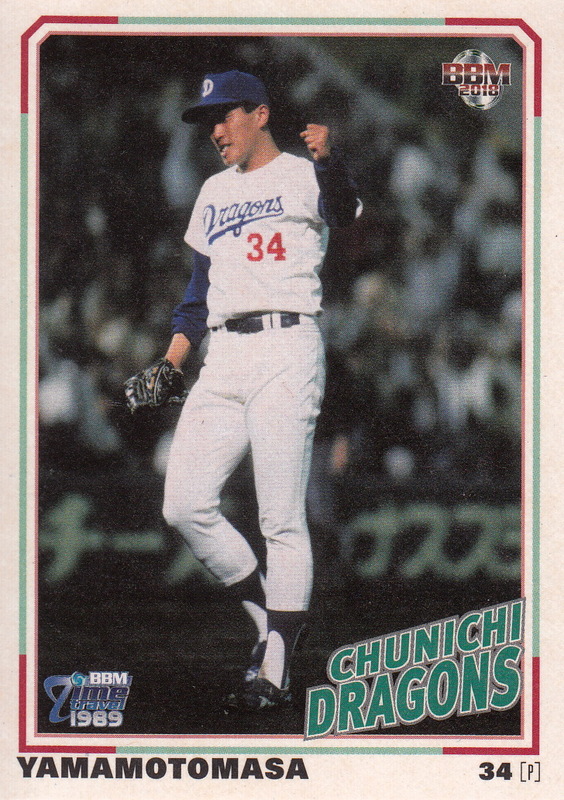 Choji Murata, Pacific League ERA leader, isn't in the set. 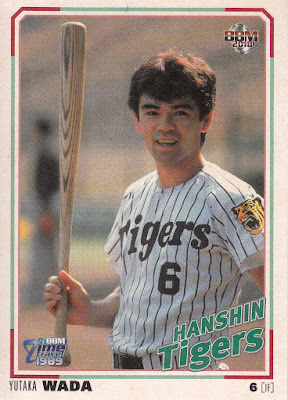 Central League Best 9 third baseman Hiromitsu Ochiai isn't in the set. 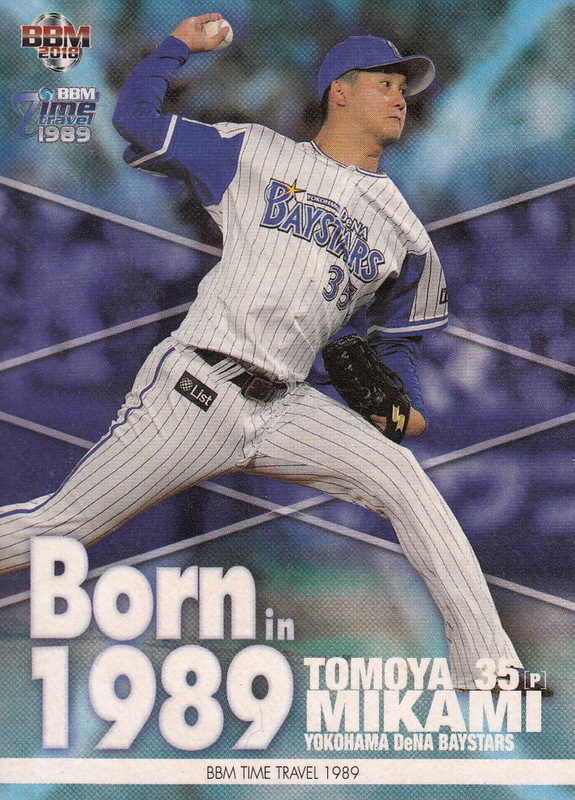 Actually these three aren't a big surprise as Cromartie's only been in four BBM sets since he returned to MLB in 1991; Murata hasn't appeared on a baseball card since 2009 and Ochiai hasn't been on a card since 2011. 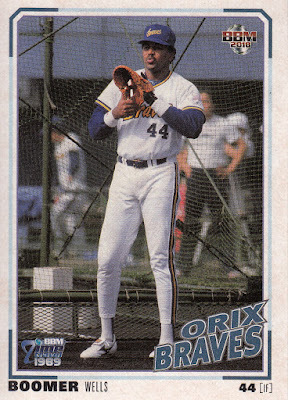 But there's a whole bunch of gaijin who also don't appear in the set - Cecil Fielder, Jim Paciorek, Wade Rowdon, Carlos Ponce, Matt Keough, Tony Brewer, Mike Diaz, German Rivera, Willie Upshaw, Tony Bernazard and Mike Easler. 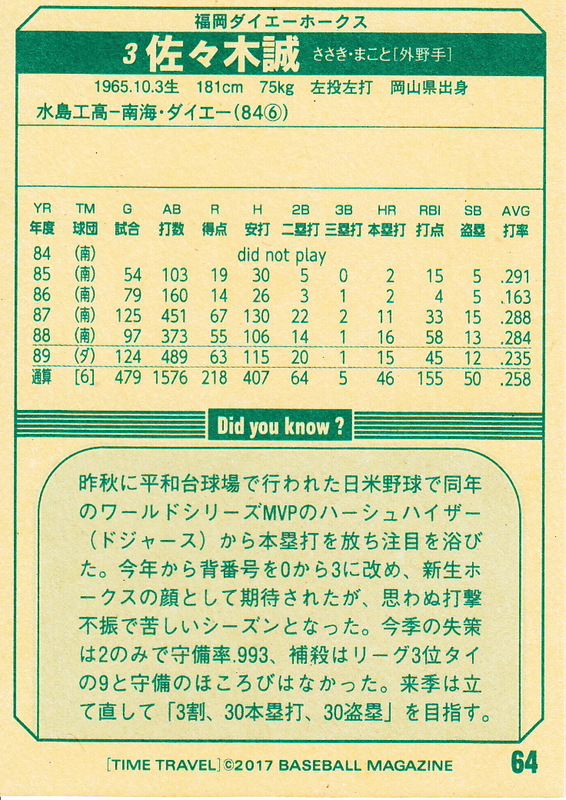 Additional Japanese players who are missing include Takayoshi Nakao (CL Best 9 and Golden Glove at catcher), Masahiro Kawai (CL Golden Glove winner at shortstop), Hiromi Matsunaga (PL Best 9 and Golden Glove at third base), Satoshi Nakajima (PL Golden Glove catcher), Atsuhiro Motonishi (PL Golden Glove outfielder), Tsutomo Itoh and Kazuhiro Kiyohara (although Kiyohara's legal issues have caused BBM to not include him in any sets for the past three years). 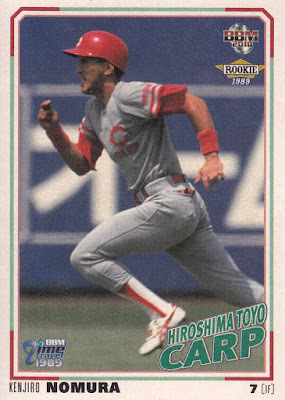 The final subset is the six card "Born In 1989" subset which features six current players who were born in 1989 (obviously). 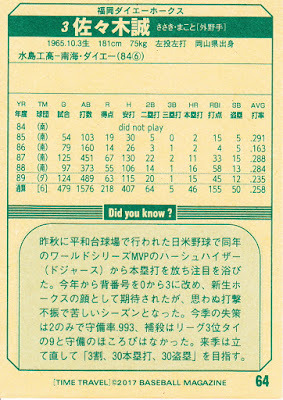 The six players are Hikaru Itoh, Yuki Karakawa, Yoshihrio Maru, Tomoya Mikami, Akira Nakamura and Yoshinori Satoh. I like the set, even if I feel it left a lot of players out. I'll be curious to see if and how BBM does future editions of this set. Will they stick with years before they started to make cards (1991)? I'd love to see a set for 1950 (first year of the two league system) but I doubt that would ever happen - they'd only be able to have maybe three OB players signing autographs. Moving earlier than the late 70's will make it more difficult to have active players in a "Born In..." subset. I guess we'll know in the fall. You can see the entire set (including the insert sets) at Jambalaya and Ryan did a post back in December for the set as well. I teased this the other day so I will tell the story about the obstacles I had getting this set. 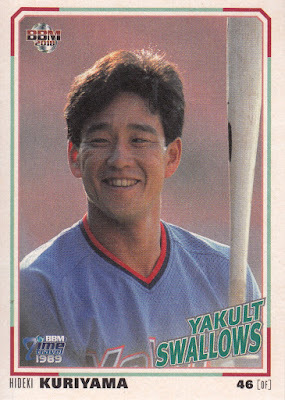 The set came out right around Christmas and I kept searching Yahoo! Japan Auctions for complete sets but I kept not finding any. 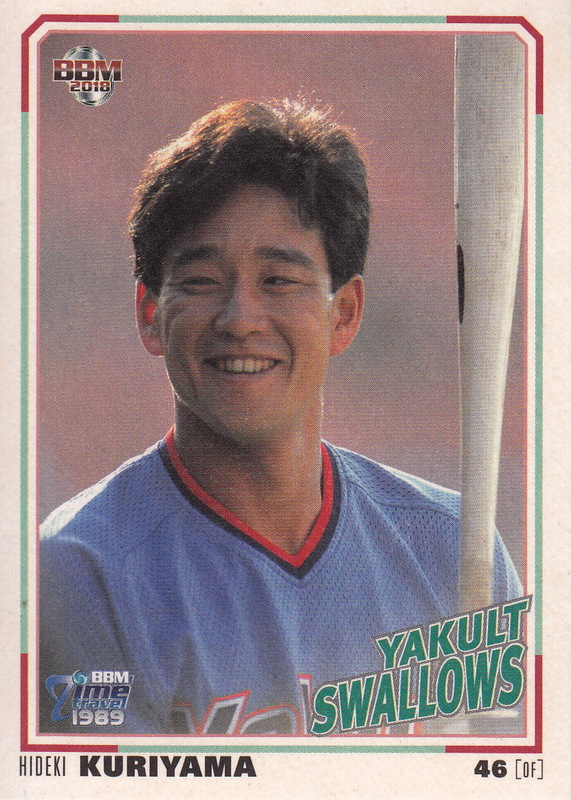 Finally after about a week I realized that the search term I was using ("2018 1989") wasn't finding much because most of the sellers had the set listed as a 2017 set. So once I changed the search terms I finally found a complete set. But when I went to bid on the auction via Noppin I discovered that they had closed for about five days for New Years. Since I already had the Fusion and Samurai Japan sets waiting for me with Noppin I didn't want to use JAUCE or kuboTEN to get it. Luckily the set was still available when Noppin reopened a few days later and I was able to buy the set. Now obviously before Noppin can ship the set to me, they have to receive the set from the seller. Usually this only takes a couple days - this time it took a week. Once they got it, I sent a packing request to them. They got back to me a day later telling me how much it would cost to ship all three sets (Fusion, Samurai Japan and Time Travel 1989) and I immediately paid it. Noppin promises that they will ship the next business day after you pay for it. Of course I paid on a Friday so they didn't ship until Monday. But finally it had been shipped and I should get it in a couple days, right? Well, not quite. Tracking showed that it reached customs in New York - and then the US government shutdown for three days. I don't know if that actually had any impact on my shipment but it took a whole week to clear customs. It finally arrived at my house about a week and half ago - 12 days after Noppin shipped it. But all's well that ends well and these are all first world problems so enough whining. 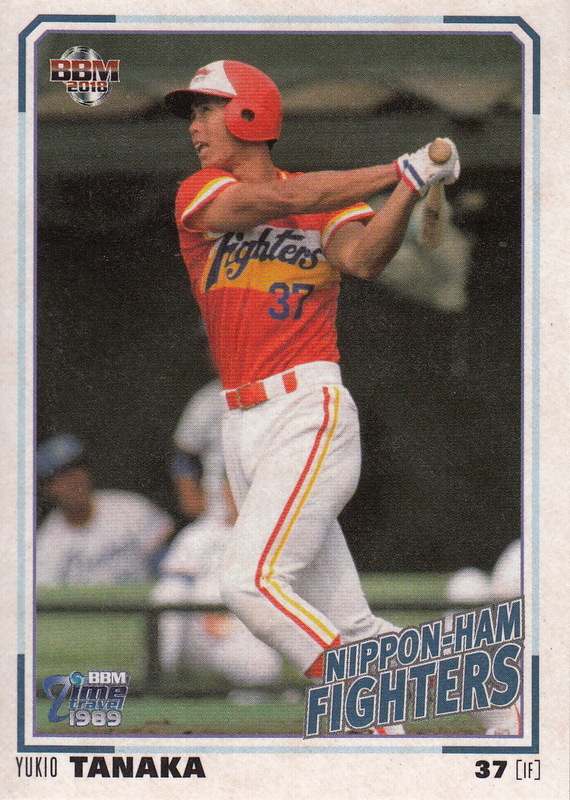 That Fighters uniform is pretty fantastic. I definitely like the old-school look of these cards.